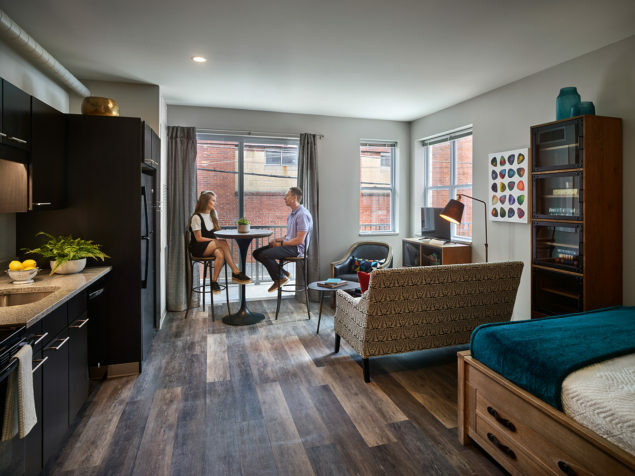 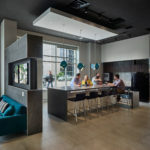 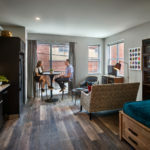 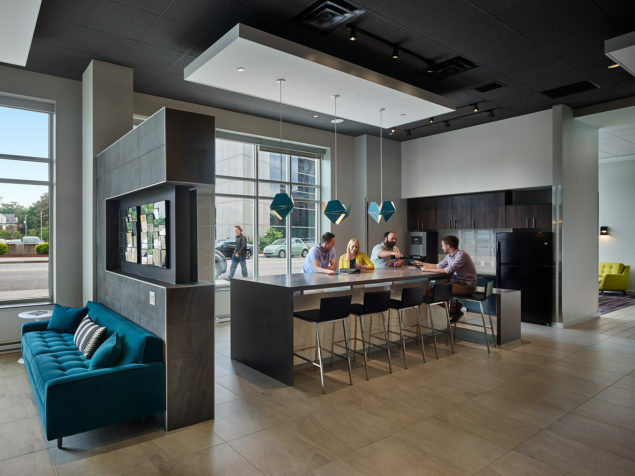 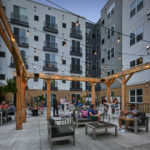 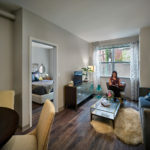 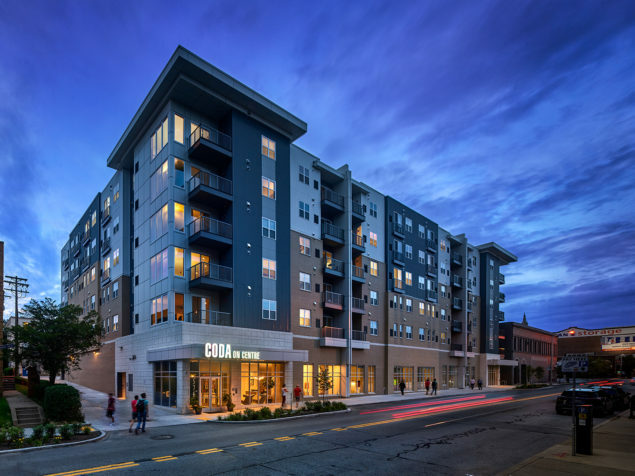 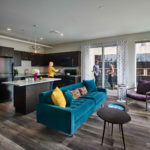 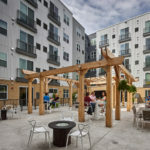 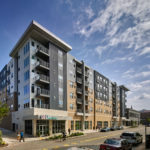 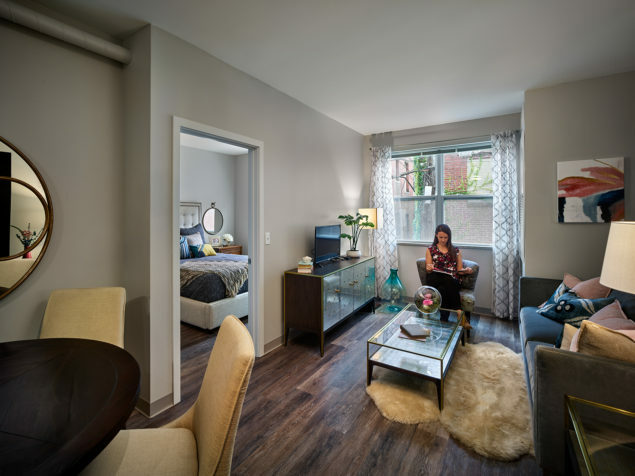 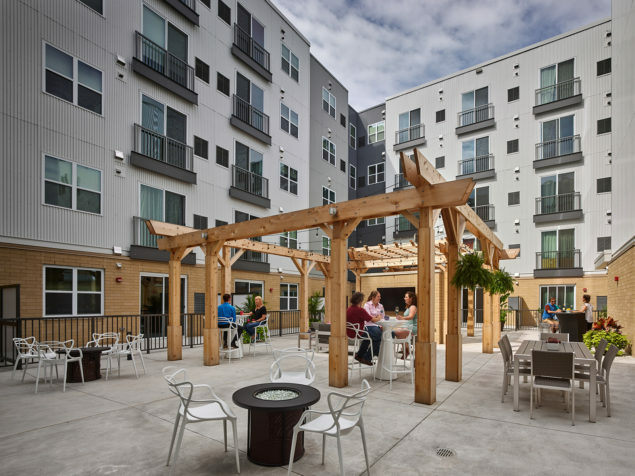 To service the growing demand from nearby hospitals, universities, and tech companies for quality housing, Coda on Centre consists of 175 varied unit styles in 127,000 square feet. 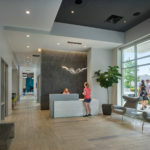 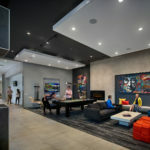 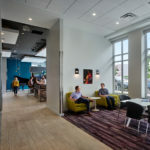 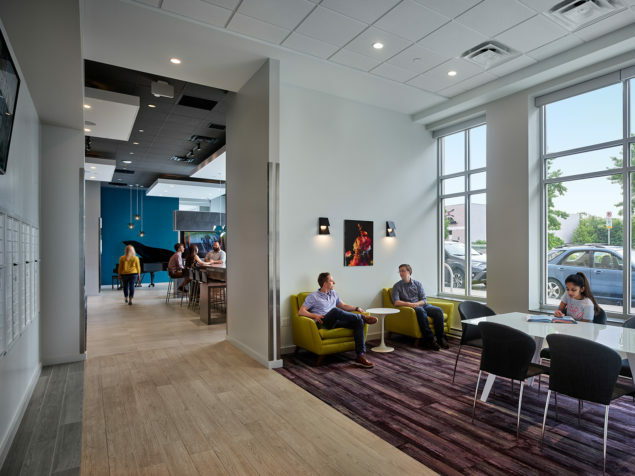 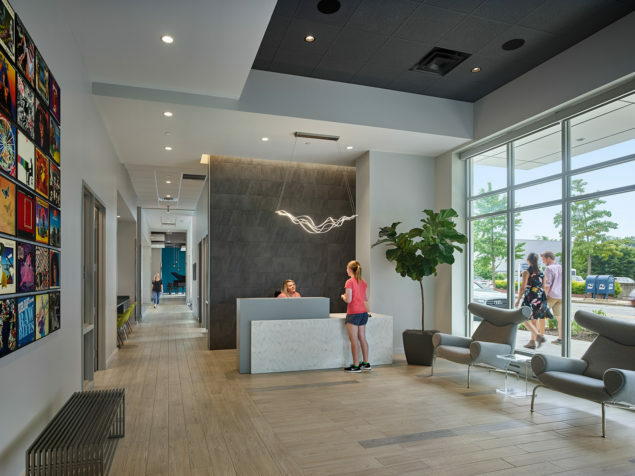 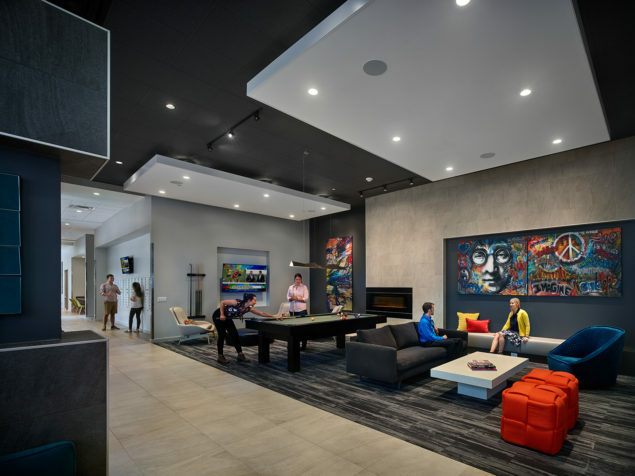 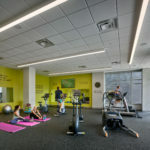 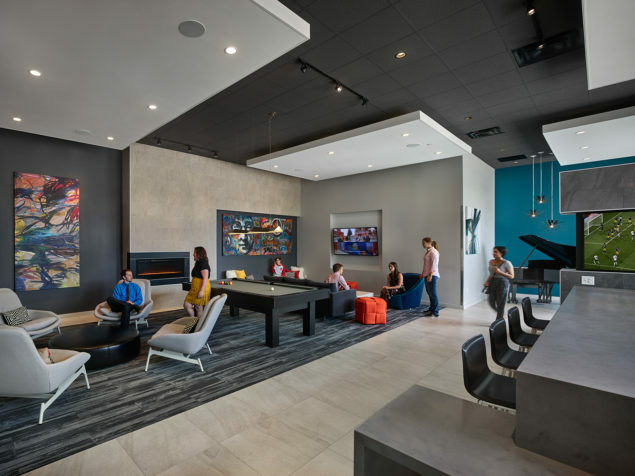 Over 9,000 square feet on the first floor includes community-building activation spaces such as a fitness center, Club Room, and Game Room, adding to the overall living experience at this urban address. 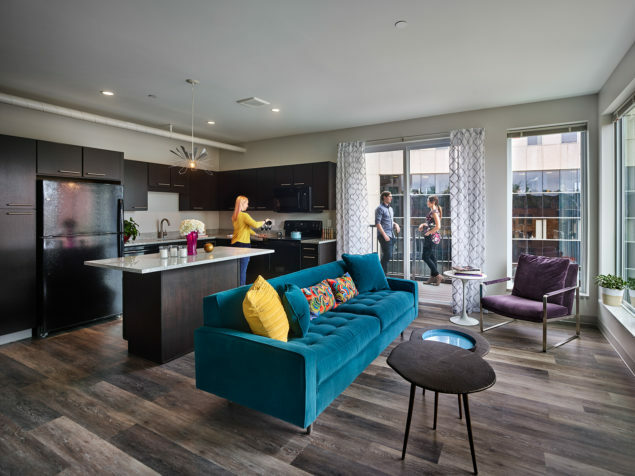 The five levels of apartments are grouped around a private courtyard area at the second level. 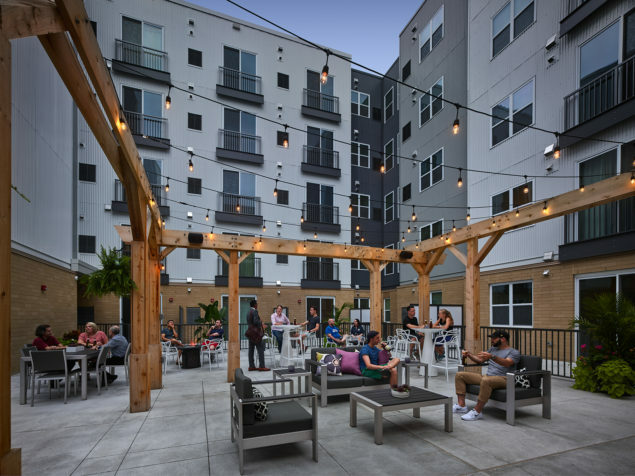 This vest-pocket outdoor amenity includes lounge seating groups, a trellised “outdoor room”, gas grills, and fire pits. 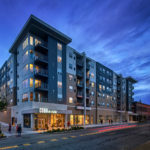 Many units also have balconies to take advantage of views to the surrounding city neighborhood. 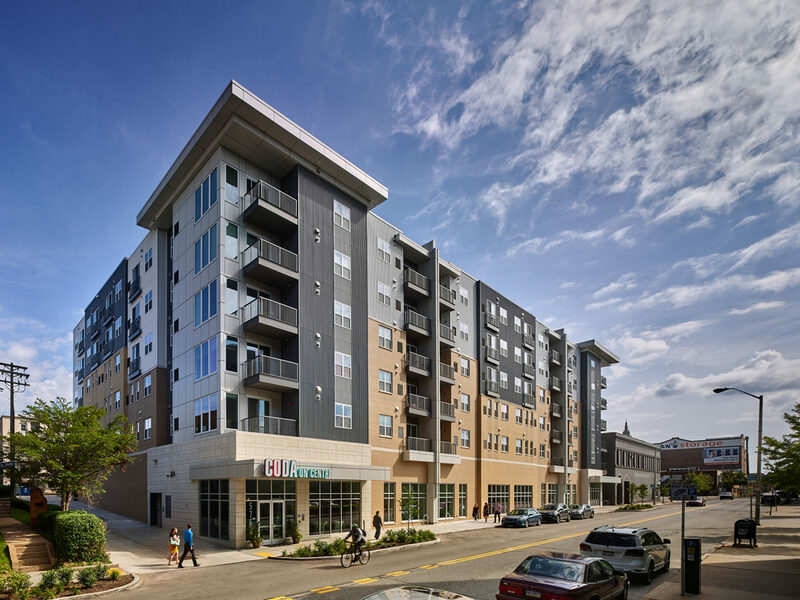 The exterior finishes consist of a mix of brick veneer, cast stone, and a variety of metal sidings. 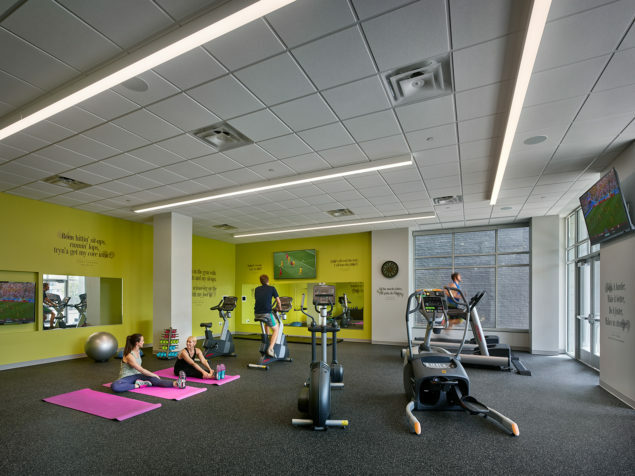 Two levels of below grade parking provide 150 private spaces.